Medical care in the U.S. is very expensive! Therefore, as an international student (F-1 visa), you are REQUIRED to have health insurance during your studies at Shoreline Community College. 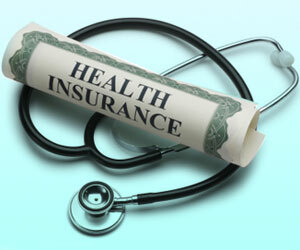 In order to ensure adequate coverage, you MUST purchase this insurance through the College. The college contracts with Firebird International Insurance, which is provided by Summit America. The cost of the Firebird International Insurance plan is US$366 per quarter. Coverage is also available for your child(ren) and/or spouse during your studies. You will purchase the insurance plan when you register for classes each quarter and pay the premium along with your tuition. You are required to attend the Health Care session with a Firebird International Insurance representative during ISOP (new student orientation) and will receive the insurance policy and ID card. Coverage anywhere in the world including your home country only in the event of an emergency. To view complete coverage and policy details, please visit the Firebird International Insurance website www.fiig-insurance.com. ORIENTATION BEGINS ON March 26 at 8:00AM! Orientation is very important for your success. Attendance is mandatory. We recommend arriving at least two days before orientation begins. This will give you time to recover from a long trip and start your college career feeling good! Orientation will be informative and fun! You will make new friends while discovering all that Shoreline Community College has to offer. 1. Remember to bring your passport and I-20 document, U.S. address/phone # information (host family or apartment), medical insurance information (if you already have one from your country), $20 in cash for the math placement test. 2. If you have taken an English assessment test in the last 2 years and received a high score you may be eligible to enroll directly into college-level English or be placed in advanced English language courses: English for Academic Purposes (EAP). Learn more at our website! *You MUST submit ORIGINAL scores to us 7 days prior to orientation! 3. You will pay tuition and fees AFTER you register for classes. Payment due is within 5 business days of registering or the first day of the quarter, whichever comes first. 6. If for some reason, you are not going to be able to come to Shoreline Community College as planned, it is VERY IMPORTANT for you to let us know at international@shoreline.edu BEFORE orientation begins. We need to make the necessary changes on your SEVIS record based on immigration regulations. We look forward to welcoming you to Seattle and our beautiful campus! Tutoring services offers free one-on-one tutoring (up to two hours a week). The purpose of tutoring services is to help students who need assistance with completing their school work and offers support in specific subject matters. Students will be able to not only gain and review their knowledge through the tutoring services but will also learn how to engage with other students and learn from each other. When you first walk in to tutoring services, you will meet Karin Heffel-Steele and Jessica Gonzalez. Jessica is a Program Coordinator, and welcomes students at the front desk and is always happy to answer your questions. She coordinates the tutoring application process and connects tutors with students who need their help. Karin Heffel-Steele, another friendly employee of the Tutoring Center, is the Manager of Tutoring & Academic Support. She advises students who are interested in the tutoring services to be prepared for each meeting. Students should always bring their assignments and prepare questions for their tutor ahead of time. These tips will help you get the most out of your tutoring sessions. If you have any questions, you are welcome to ask and don’t be afraid to get to know the staff. They are friendly and willing to spend time with students to support and achieve their academic success. Now that you know how great they are, visit their website to learn more or apply for tutoring assistance!